ATLANTA, November 30, 2015 – Feelings of hope and love are abundant during the holiday season – and they often do more for us than we think. The American Cancer Society’s new Advantage Humans campaign has issued a bold call to action encouraging the public to redefine victory over cancer, pitting an inspiring range of human traits and emotions against the disease as a new way to think about every day triumphs. As part of the campaign, a recent national online survey found that hope is the No. 1 emotion that most helps those impacted by cancer get through their treatment. The online survey explored conversations and emotions about cancer among those impacted by cancer (patients, survivors and those who know a loved one or someone who has been diagnosed) and the general public. According to those who have been impacted by cancer, hope (69 percent) is the emotion that most helped them get through cancer treatment while 77 percent of Americans think love is the trait that’s most important to being able to cope with cancer. 1. Make your loved one aware of your support. The thing those impacted by cancer most wanted their friends and family to say to them was “I’m here for you” (58 percent), followed by “How can I help you through this?” (54 percent). 2. Don’t just talk, listen. Eighty-nine percent of those impacted by cancer would feel relieved to have someone who would really listen if they were given the opportunity to talk openly and honestly about their feelings. 3. Give them a hug. The thing those who have been impacted by cancer most wish they could do to express how they really feel about cancer is simple: hug (47 percent). The survey also found discussions about cancer aren’t happening as regularly as they could be – especially during the holidays, which 74 percent of Americans say is an especially difficult time to talk about the disease with friends and loved ones. But 94 percent of those impacted by cancer agree that talking honestly about their feelings is a good way to help them. · Ask what they are feeling. It can be easier to ask what someone is feeling versus how they’re feeling. This approach allows you to dig deeper into the conversation and gives the cancer survivor an easier way to be more descriptive. · Remember that every cancer survivor is different. Each one faces a different journey. Try to gauge the individual and determine what works best for them. Keep in mind that some cultures have different approaches to conversations. · Help with something specific. It can be thoughtful to ask open-ended questions like: “What do you need from me? What is it that I can do for you?” But, more often than not, people don’t feel comfortable asking for help even when you offer. It makes more sense to offer help with a specific task in mind – like a ride to treatment, taking care of dinner or finding a local support group or mental health provider trained in cancer to get more emotional support. · Stay in touch. Research shows that the time period after treatment ends or when someone is diagnosed with a recurrence are very difficult times for cancer survivors. They often need more help but feel they have “burned out” their support network. Keep checking in and being a source of support. · Find great resources to help. The Society’s National Cancer Information Center (1-800-227-2345) offers trained cancer specialists 24 hours a day, seven days a week to answer questions, provide reliable information about the disease, link callers with resources in their communities and provide details on local events. In 2015, the hotline has fulfilled over 1 million requests by phone, online chat and email. 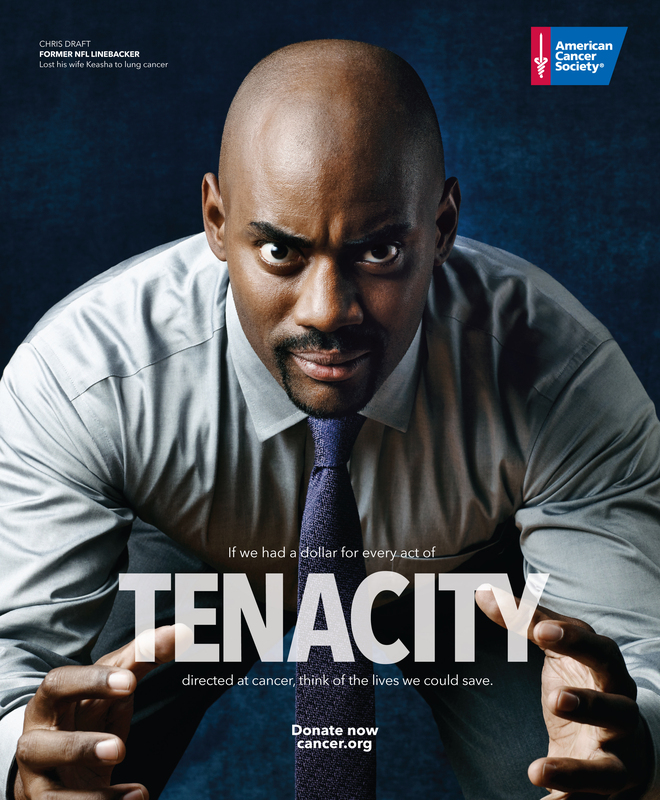 · Chris Draft (former NFL player): Tenacity. 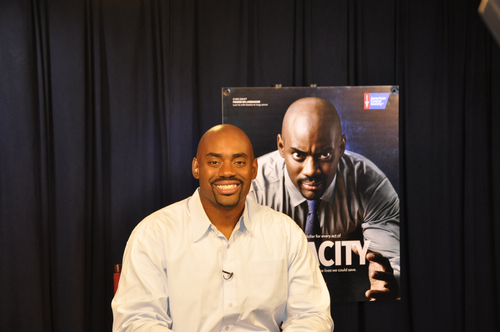 In 2010, Chris’ wife Keasha was diagnosed with advanced lung cancer after never smoking a day in her life. They got married on November 27, 2011 and she passed away one month later – but on their wedding day, they made a promise that they would work as a team to inspire hope for everyone affected by cancer. He has committed his time and resources to raising awareness for cancer. · Isabel Lopez: Courage. At 15 years old, Isabel was diagnosed with T-Cell Lymphoblastic Lymphoma on her birthday. Her family and friends show their love and support for Isabel through her online movement #wedancewithIsa. As a dancer, Isabel knows that no one dances alone and just like this journey she is on, she continues to see the love from everyone around her. · Lauren Smoke: Hope. Lauren was diagnosed with breast cancer while she was pregnant with her first child. She is currently undergoing treatment and recently gave birth to a healthy baby boy, Niko, which means victory. · Chris Marquez: Defiance. Chris is an LA-based actor, model and screenwriter. He received a liver transplant several years ago, and was then diagnosed with liver cancer in the donor liver. He has since undergone chemotherapy and preventive surgery, and the cancer is isolated to his bladder. KRC Research conducted this research via an online survey of a total of 1,005 U.S. adults ages 18+, with emphasis on cancer patients/survivors and those who know a loved one/someone who has been diagnosed with cancer, from October 29-November 1, 2015. KRC Research conducted this research via an online survey of a total of 1,005 U.S. adults ages 18+ from October 29 – November 1, 2015. Just 34 percent of those impacted by cancer report that they regularly have open conversations with friends and family, even though 64 percent of Americans would feel comfortable talking openly and honestly.